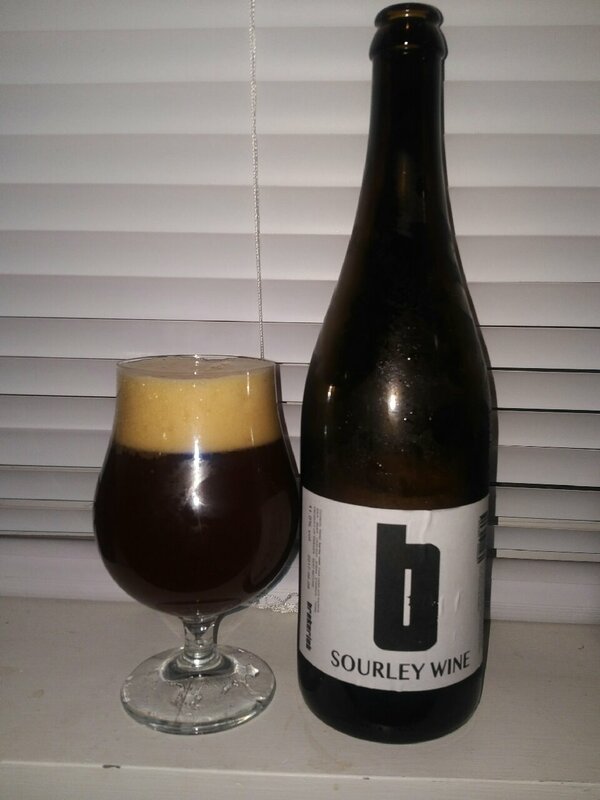 From brekeriet beer out of Landskrona Sweden comes their “Sourley Wine” a sour Barleywine. The beer pours a cloudy brown red with a tan head. The aroma consists of dark fruits, sweetness and some mild funk. The flavour is of sour cherry, dark fruits, toffee malts, wood, apple cider vinegar, red wine and some brown sugar. The alcohol content comes in at 11%. I love Barleywines and I love sour beers and this takes the cake. Why not blend two amazing styles into one super beer? Commercial Description: Brekeriet Sourley Wine is a double mash sour barley wine fermented in Niepoort barrels with several wild yeast and lactic acid bacteria strains. This entry was posted in Barleywine Ale, Imperial, Sour Ale and tagged apple cider vinegar, barley wine, brekeriet, brekeriet beer, brown sugar, craft beer, dark fruits, imperial, Landskrona, red wine, sour ale, sour barley wine, sour cherry, sourley wine, sweden, toffee malts, wood.